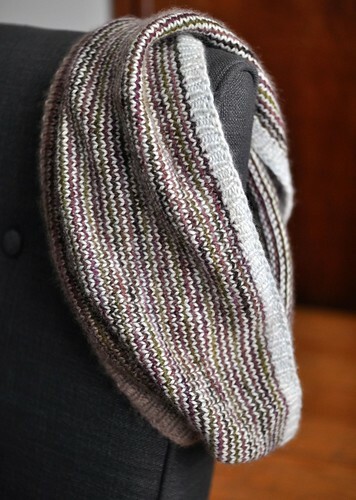 I knit up this little cowl ages ago and never blogged it! I’ve been terribly remiss in my FO shoots. This one is just single round stripes in some leftovers of DK weight cashmere, mostly Handmaiden 4ply. It was a pleasure to knit up, and super warm. A little print pattern will be available at lettuce knit starting this weekend – we have lots of Handmaiden 4-ply cashmere too! P.S. Since several people have asked about the ornaments – the sweaters are based on the pattern from Last Minute Knitted Gifts, and the little Santa hat and stocking are my own. I’ll put up a wee pattern for them this weekend! 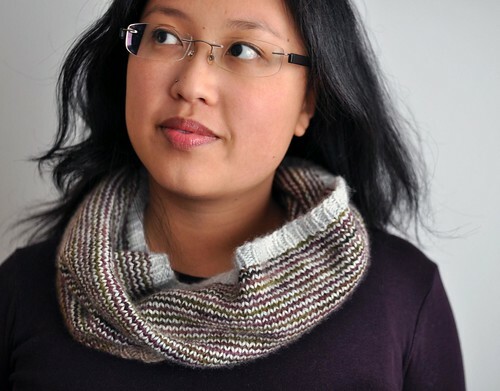 Hi, Please, will you make the Cowl pattern available to those of us who are not local? It is nice. It’s beautiful, I love colors :) and it seems to be warm, perfect for winter ! Delicious cashmere! 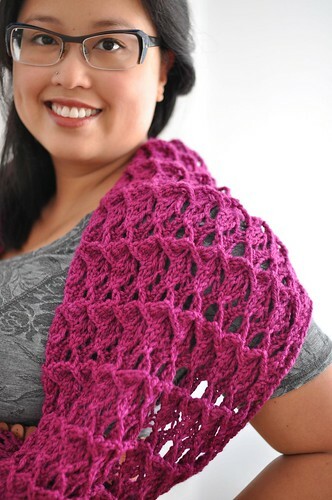 Very pretty cowl. Looking forward to the pattern! I had to make myself a cashmere cowl a few weeks ago. Looove the cashmere. beautiful! wish i could afford cashmere yarn…i’d make one of my own! 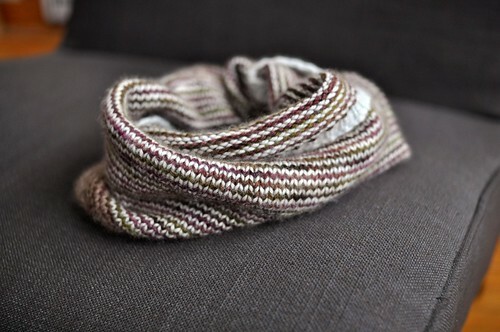 I would really love this pattern, but I cannot find it on the Lettuce Knit website? Did it ever get there? Or is it already gone?